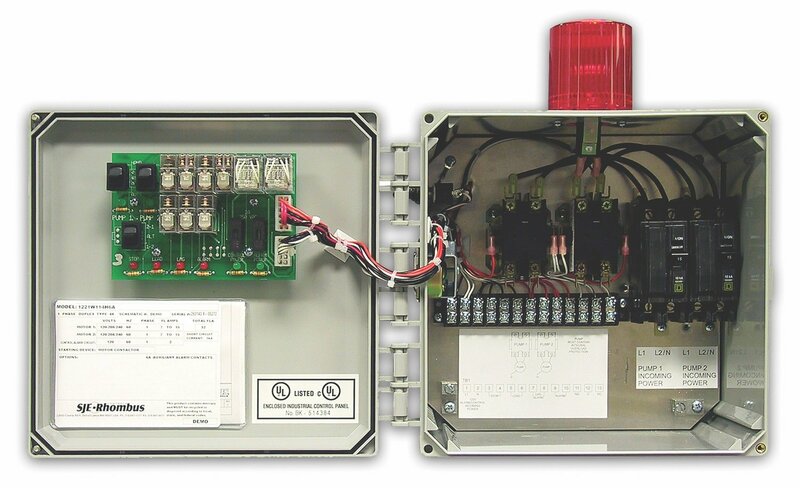 The Model 122 control panel is designed to alternately control two 120, 208, or 240 VAC single phase pumps in pump chambers, sump pump basins, irrigation systems and lift stations. The alternating action equalizes pump wear; and this system provides override control should either pump fail. If an alarm condition occurs, an alarm switch activates the audio/visual alarm system.